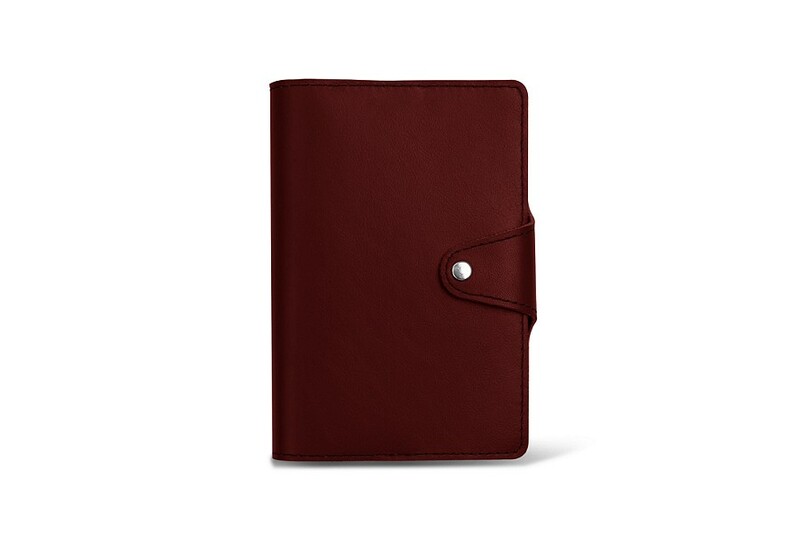 Here is the ideal leather pocket notebook, made in authentic leather. Whatever be the purpose, this A6 format notebook is handy and really practical. 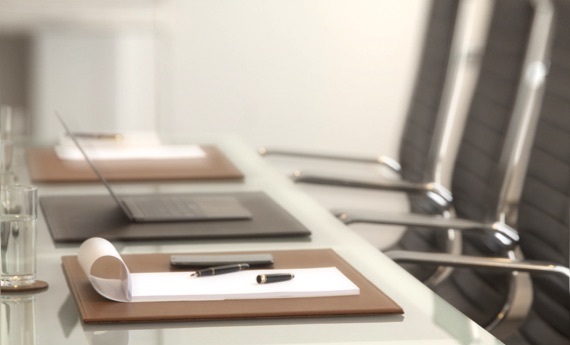 You can easily jot down phone numbers, confidential info, recipes and basically whatever you want. 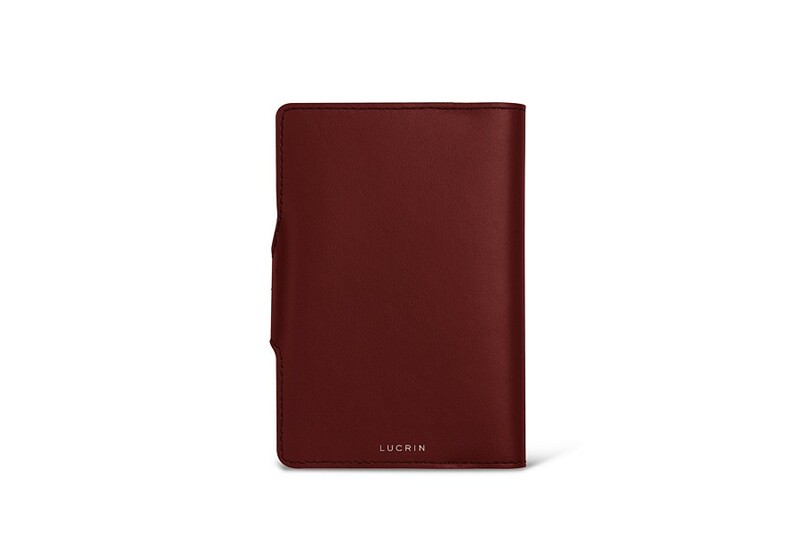 The A6 leather notebook has a sumptuous leather cover that closes thanks to a snap button flap. 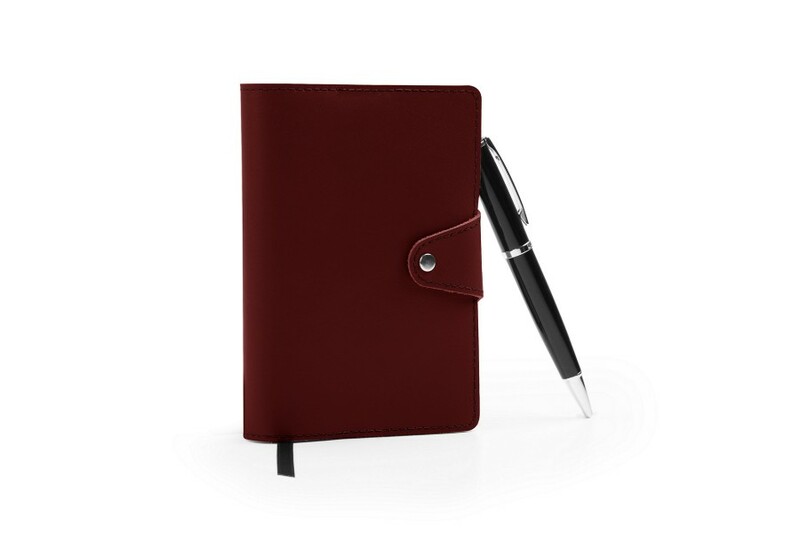 Subtle yet elegant, this pocket leather diary is available in a wide range of leathers and colours and can be refilled. 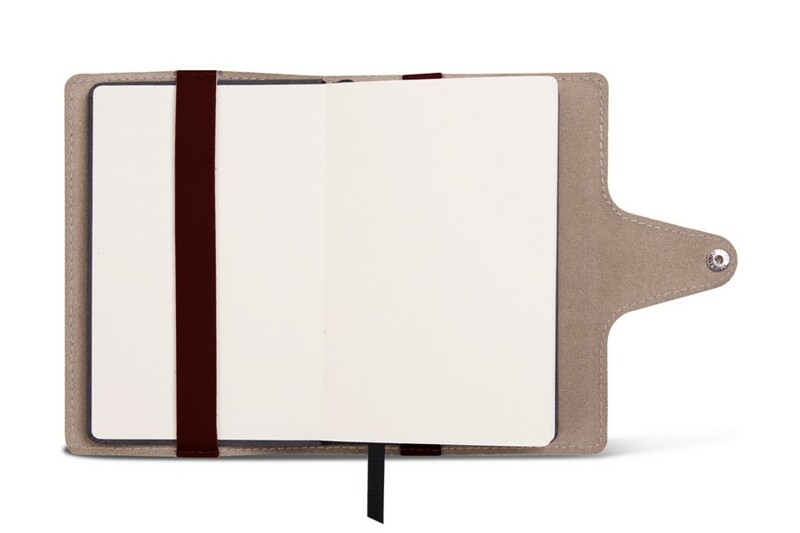 Delivered with a A6 notebook of 100 ivory-coloured lined sheets, the leather notebook cover is perfectly customisable.